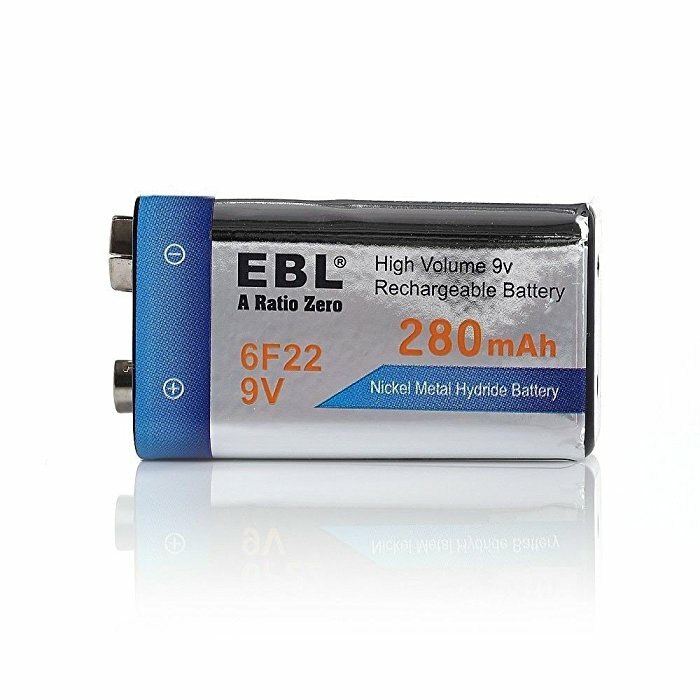 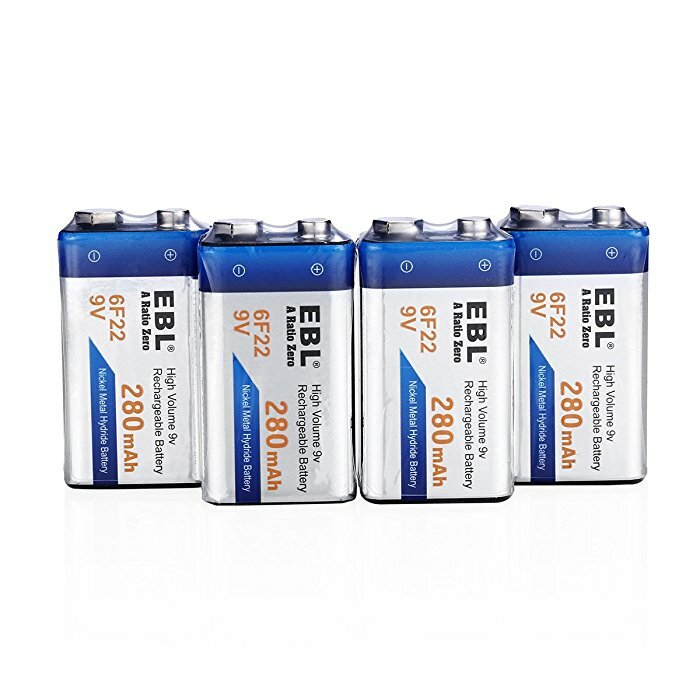 Package: EBL 802 Battery Charger and 4-pack 9V 280mAh Ni-MH rechargeable batteries. 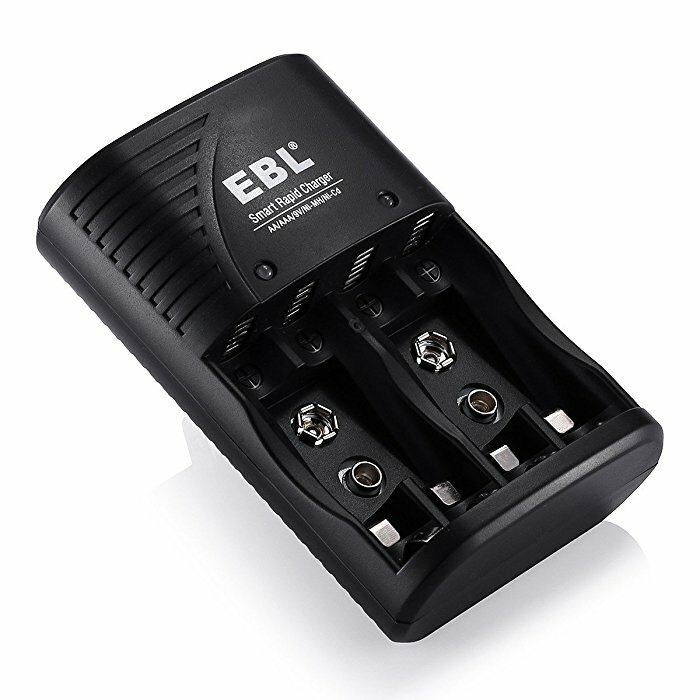 BL 802 battery charger is able to freely charge 2/4 AA/AAA Ni-MH/Ni-CD rechargeable batteries in pairs, and 1/2 pieces 9V Ni-MH/Ni-CD batteries individually. These 4-count EBL rechargeable batteries can be recharged up to 1200 times when fully or partially drained. 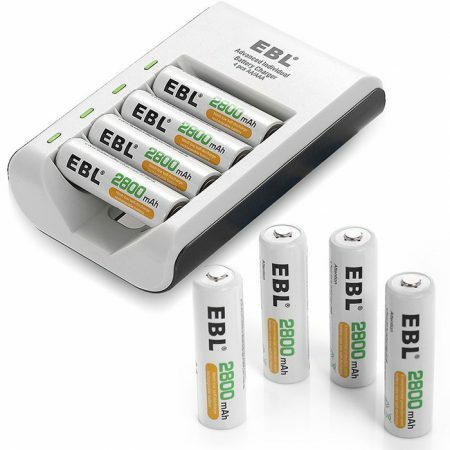 Battery detection technology enables the charger to automatically turn to trickle charge when batteries are almost fully charged. 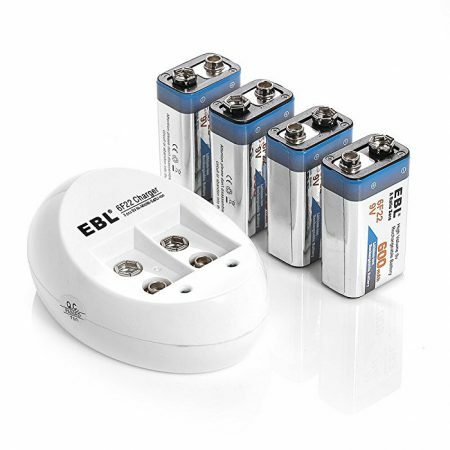 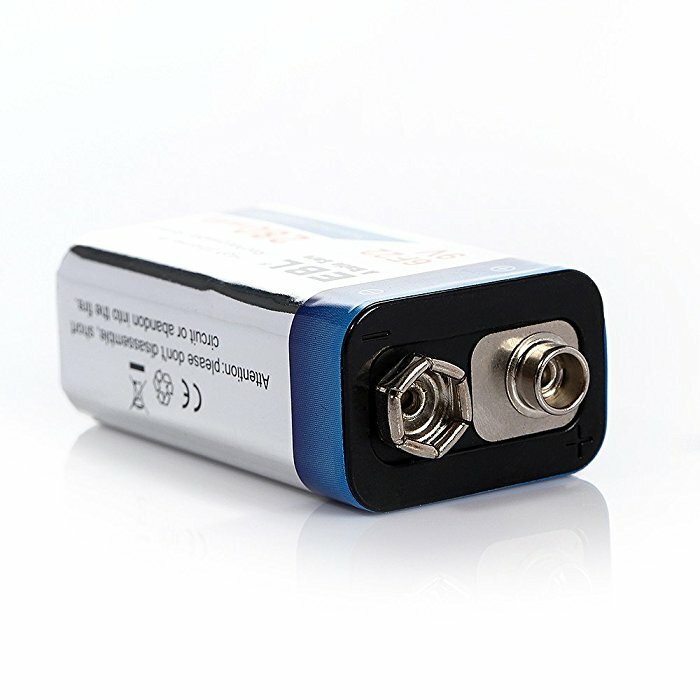 Rechargeable 9V batteries can be widely used for household devices such as digital cameras, toys, remote controls, handheld games, 2-way radios, PDAs, flashlights, alarm-clocks, LCD-TVs, toothbrushes, shavers and portable audio players. 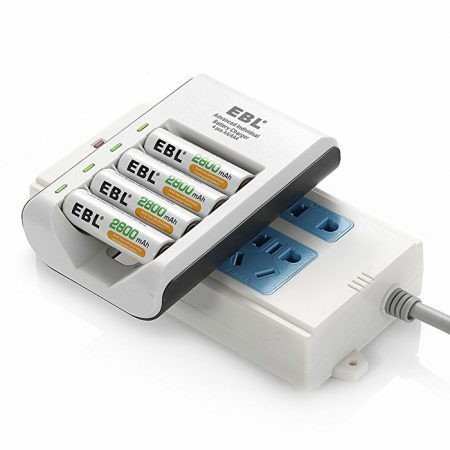 This EBL 802 rechargeable battery charger can freely charge 2 or 4 AA/AAA Ni-MH/Ni-CD rechargeable batteries in pairs, or charge 1 or 2 9V Ni-MH/Ni-CD batteries individually. 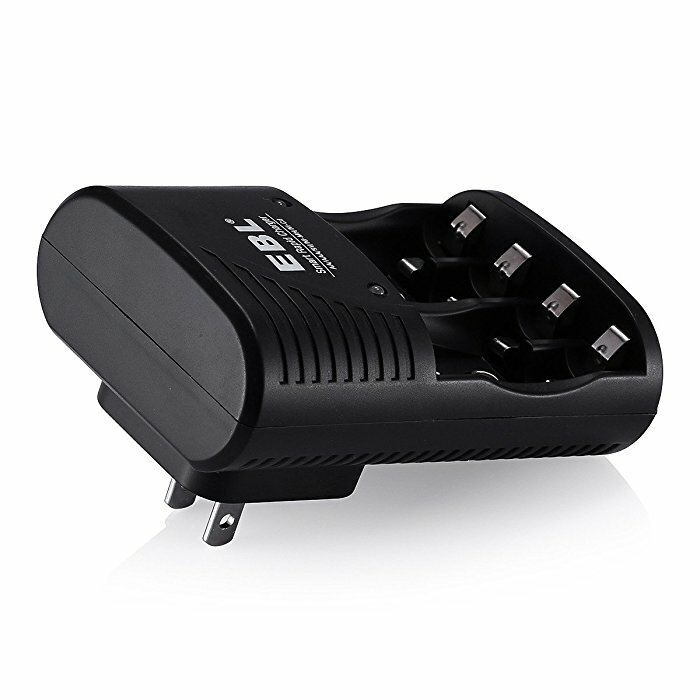 This battery charger can be connected to DC sockets. 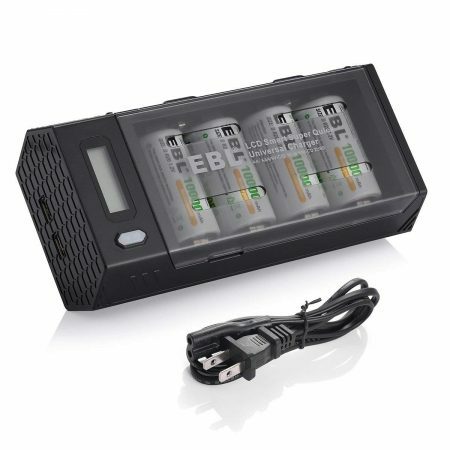 It can be used in cars, office, home etc. 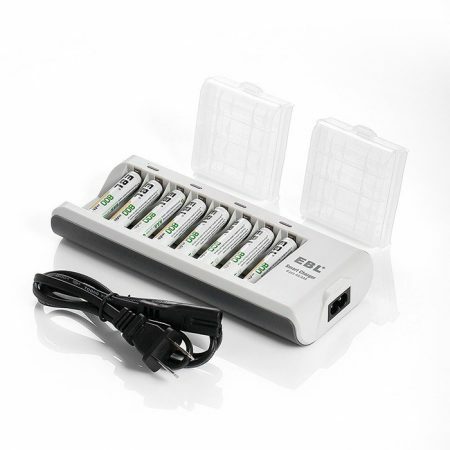 It has a portable size for travel purpose. 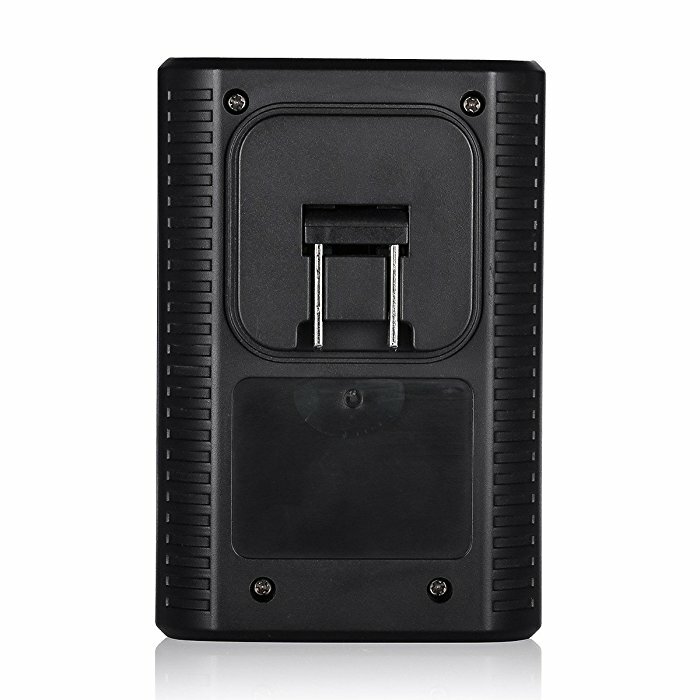 The charger is built with smart LED lights to show the charging process. 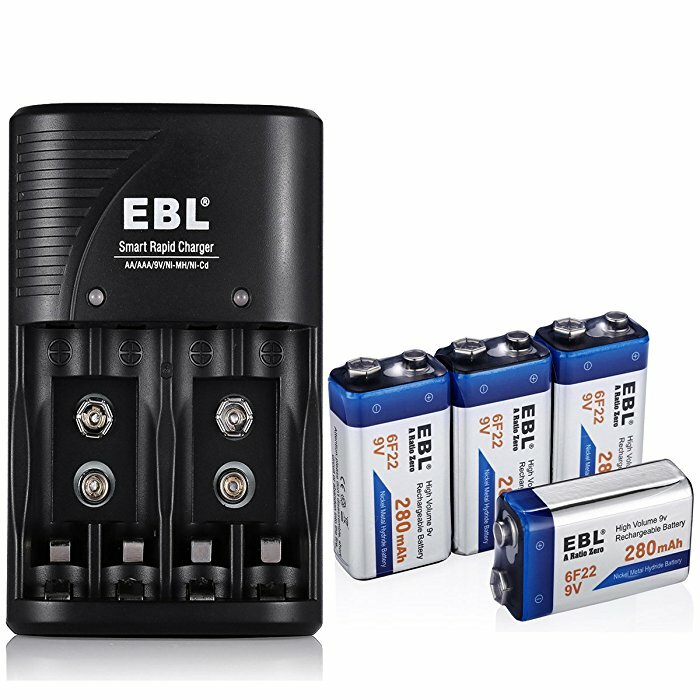 Controlled by MCU technology, the charger has perfect protection from overload, overdishcarge, over current and over heating.